We are delighted to announce the arrival of our first baby Eagle of 2017. ‘Life’ for this little character may have started 44 days ago when it emerged from its mother as an egg, but this is probably the moment that we have to consider as ‘birth’. A huge welcome to the world for an important new life. 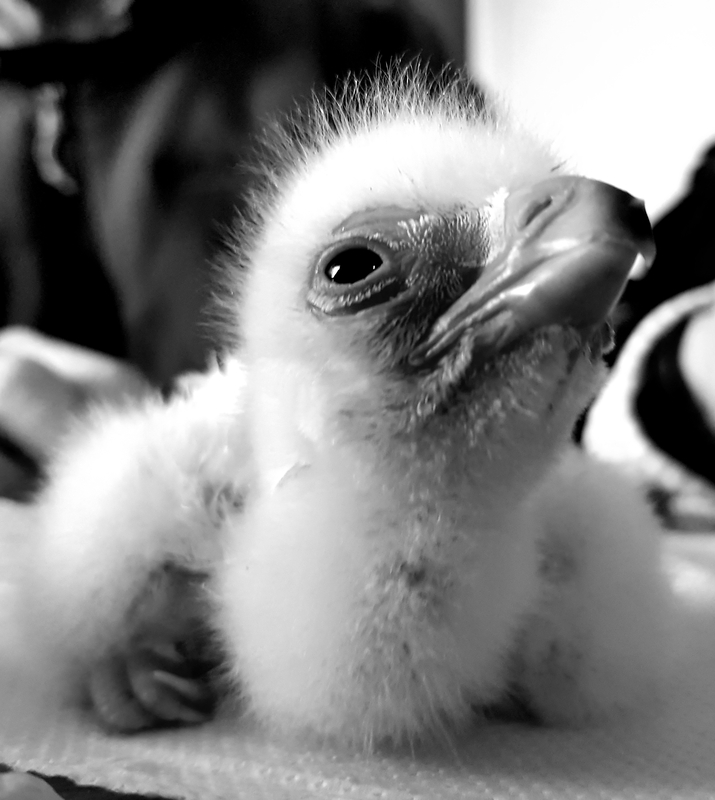 Meet our first hatched Verreaux Eagle of 2017. This is a species of concern in Africa, suffering the effects of urban sprawl, conflicts with farmers, loss of prey to bush meat hunters, illegal poaching, habitat loss, illegal trapping for commercial trade…..The list goes on. They also have a reputation or being notoriously difficult to breed in captivity with only one other facility having confirmed success in breeding them in captivity. Working to compliment efforts to rectify the problems on the ground in their home territories, it is important for people like us to help establish the criteria required to have them breed successfully in captivity, and then create a global, genetically diverse captive breeding ‘flock’. It is from this flock, that once the situation on the ground has been rectified, that bird for any necessary reintroduction, or wild stock supplementation or boost should be drawn. We are beyond delighted to have produced this healthy chick (following a chick that died due to severe gut deformation in 2016) AND have adult bird incubating an egg from a 2nd clutch. The feeling of achievement and that we are doing something constructive is incredible.